After going into safe mode, the American Space Agency NASA's Chandra X-Ray Observatory has been working once again. The Telescope, named after Nobel laureate Indian-American scientist Subramaniam Chandrasekhar, was launched in the year 1999 for the study of high-energy light like X-rays in space. Initially, this mission was fixed for five years only, but it has been a part of important research since the past 19 years. On 10th October, the gyroscope (device responsible for any vehicle's position or orientation) was discontinued due to a technical failure due to the closure. Scientists have changed the spoiled gyroscope. After some tests, Moon will start its scientific operation by the end of this week. Earlier on October 5, NASA's Hubble Space Telescope went into safe mode due to the closure of one of the three gyroscopes. Scientists are also busy trying to get rid of it. Let the earth's atmosphere absorb X-rays, due to which the Earth's telescope cannot detect it. 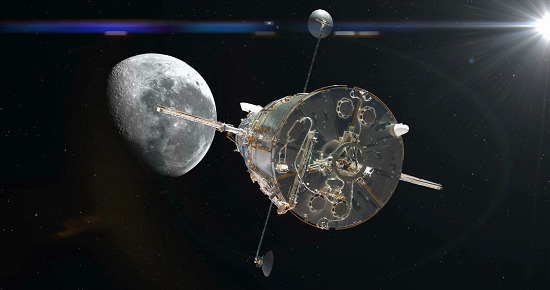 For the identification of those X-rays, NASA launched the telescope such as Lunar and Hubble.